Crayon Colors is a feature of NprTools which creates a SkethchUp Material based on the standard Crayola® colors, places it on a surface and also loads a special Crayon Color style. 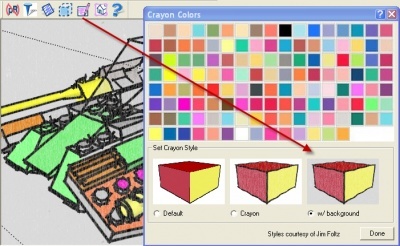 Select any of the 132 Crayola colors and place it on a surface in your model. 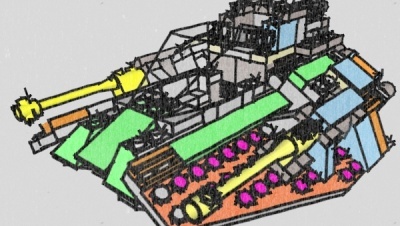 There are two special Crayon styles - one with a white background and one with a colored background.